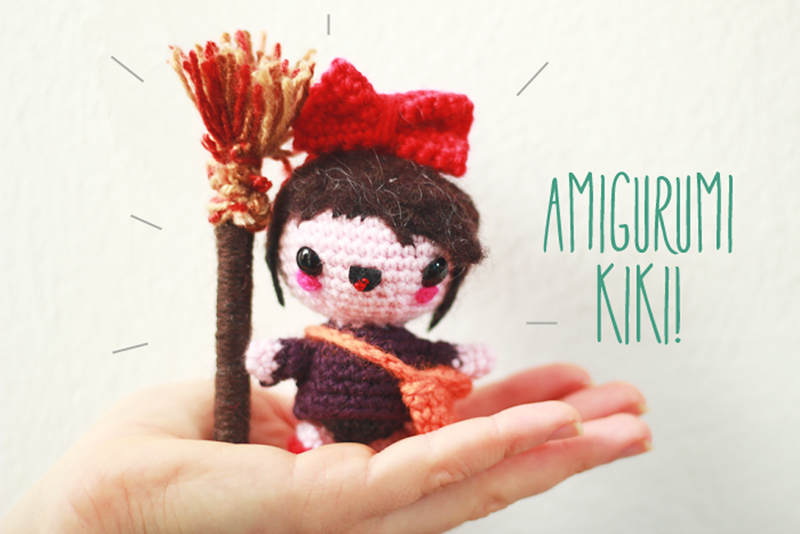 » Advanced » Amigurumi » Amigurumi pattern » Kiki from Kiki's Delivery Service free amigurumi pattern. 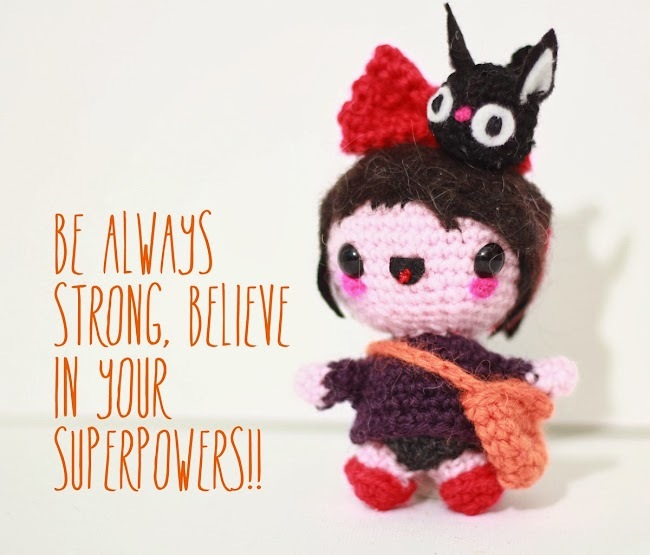 Kiki from Kiki's Delivery Service free amigurumi pattern. 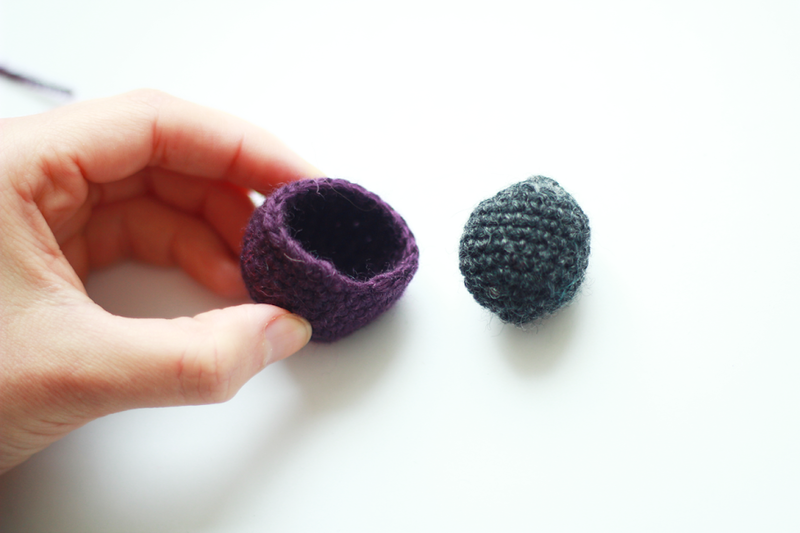 Kiki is a small crochet project. You will practice how to crochet different amigurumi shapes as well as how to add felt details to amigurumis and how to make different accessories for your plush toys. 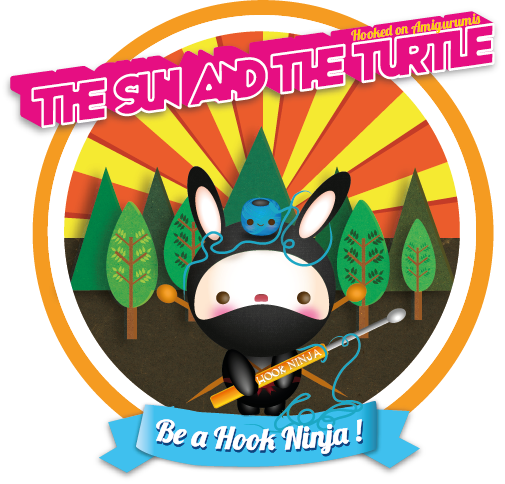 Kiki is a little girl that appears as the main character in Hayaos Miyazaki's movie Kiki's Delivery Service. It features the adventures of Kiki, a little Witch while she is living on her own and using her magic skills to earn her living. We recommend this beautiful story, it is full of beautiful messages of self respect and how enormous our human potential is. 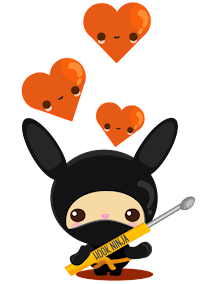 Kiki and her cat Jiji go through town in different adventures learning what it means to be independent. Jiji has a pattern of his own free pattern here. This is a video tutorial that I made for Mama Santa's Hair. It shows how to needle felt hair into your amigurumi and it is the same technique that I used for Kiki's hair. 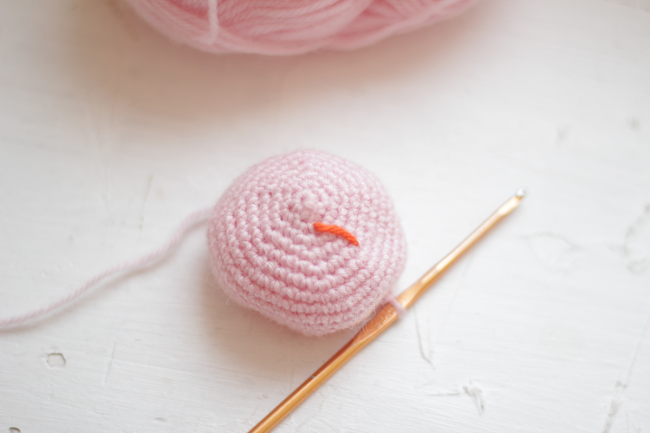 Other patterns that use this technique are Amigururmi Squirrel Girl, Mr. Santa Claus and his little helper the X-mas Elf. 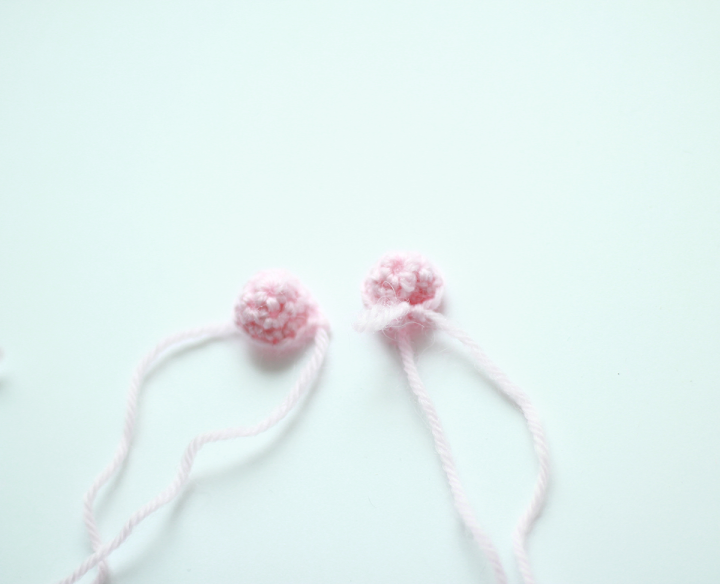 Place yarn in the middle and tie very well to create the bow. 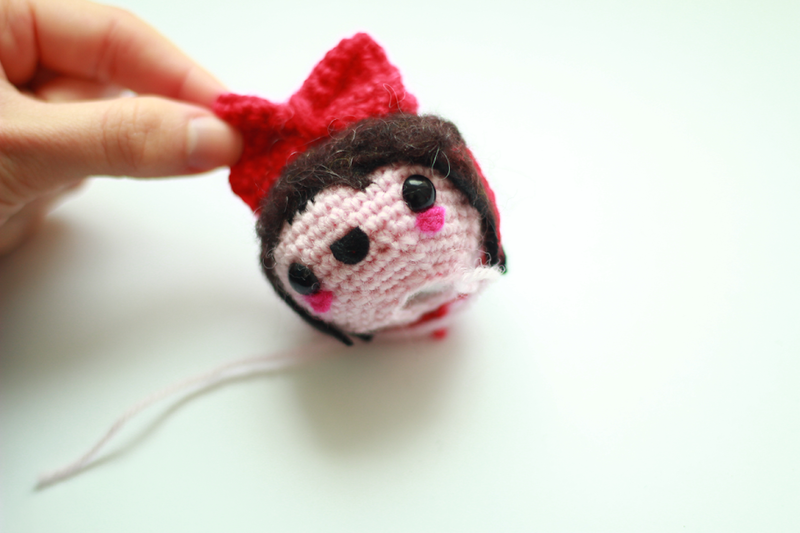 Measure the circumference of your Kiki head and make a serie of ch1 until you create a headband around her head. 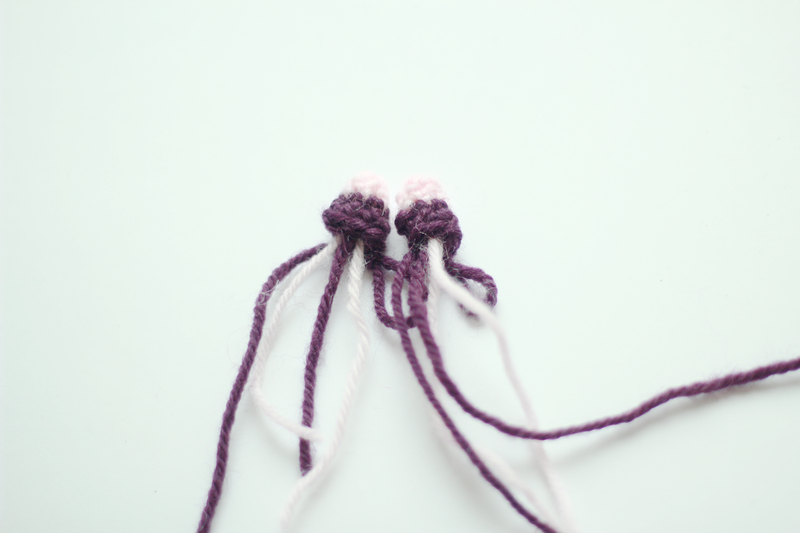 Sew with matching color to the head and attach the bow on top of the head. Fasten off, leave a tale for sewing to the body. Fasten off. Sew or glue to the feet. [ch3, triple crochet in next st, ch3] Repeat 6 times. sc in next st, fasten off. Make chain stitches measuring the body of your Kiki across the shoulders, sew to the other part of the bag an place it on the side, under her arm. See Jiji the Cat companion of Kiki free pattern here.